December 1 marks World AIDS Day, and with Apple leading the charge to do their part, all of you have helped provide an equivalent of 475 million days of lifesaving medication over the past 11 years. But it shouldn’t stop here. For 2017, new initiatives have been unveiled to grow the contribution even more. For starters, for every Apple Pay transaction done at a retail location, online or in-app, Apple will make a $1 donation to (RED); sets up Apple Pay now. 400 Apple stores around the world will sport illuminated logos or red Apple logo window decals from December 1 through December 7 2017; so time to head down and take a pic for Instagram. 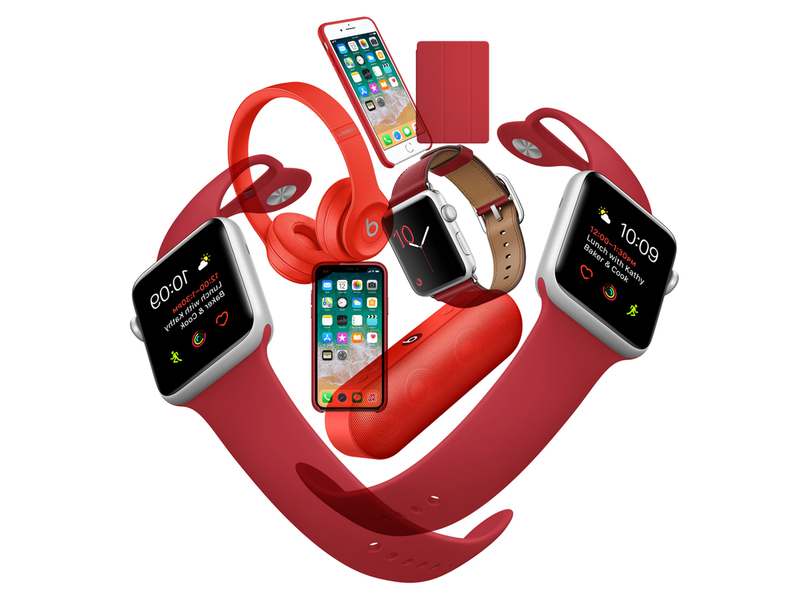 Last, but by no means least, give someone the gift of (RED) with the over 20 items available via Apple Store. From leather and silicone cases for iPhone models 6 thru X to iPad covers, Apple Watch bands and even headphones and speakers from Beats, do your part and give life.